Vitra Miniature MR 90 Barcellona, Mies Van der Rohe: Mies van der Rohe took as his starting point the ancient, scissors-shaped collapsible folding chair, already a symbol of power among Egyptian rulers. In keeping with the occasion, he adopted the representative qualities of the scissors chair, although he does without the folding function and interprets it afresh. 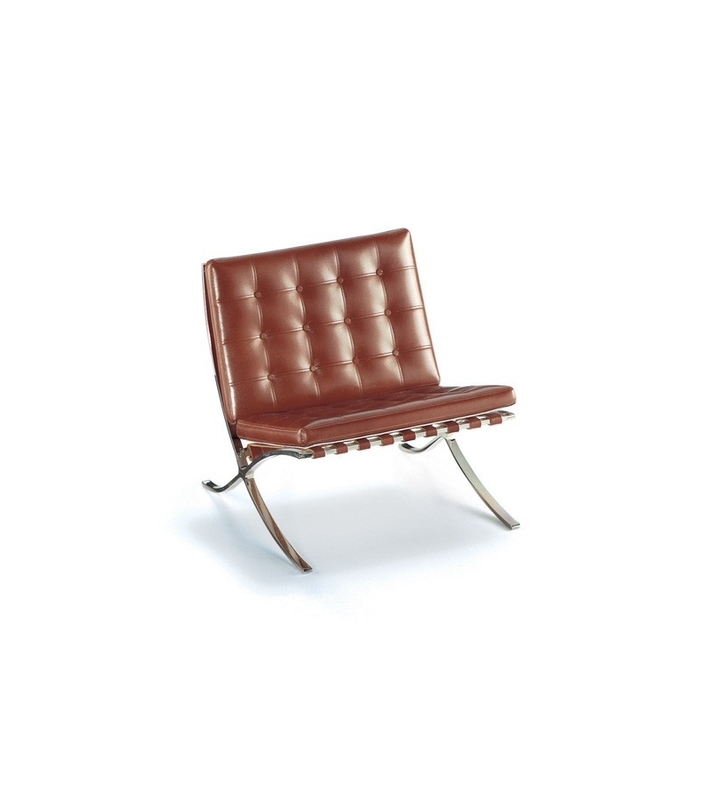 Vitra Miniature MR 90 Barcellona, Mies Van der Rohe: Mies van der Rohe designed the German pavilion and corresponding furniture for the 1929 world’s fair in Barcelona. Among other things, his pavilion served as the setting for the inaugural ceremony led by the Spanish royal couple, Alfonso XIII and Victoria Eugenia. 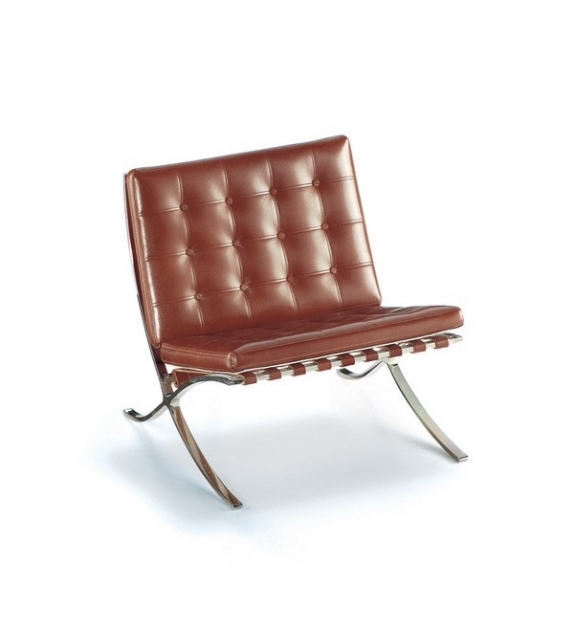 While Mies van der Rohe implemented his ideas of avant garde steel and glass architecture for the building design, he drew his inspiration for the furniture from historic models. Mies van der Rohe took as his starting point the ancient, scissors-shaped collapsible folding chair, already a symbol of power among Egyptian rulers. In keeping with the occasion, he adopted the representative qualities of the scissors chair, although he does without the folding function and interprets it afresh. 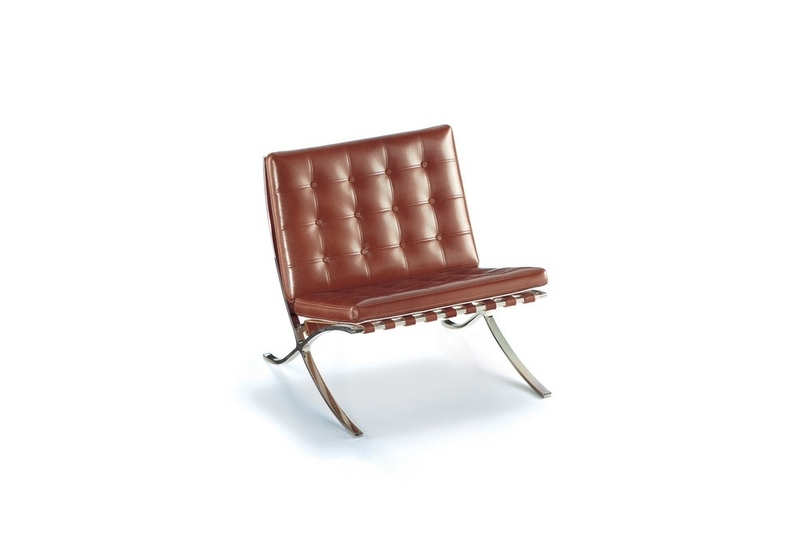 In order to match the overall impression of luxury in the pavilion, Mies van der Rohe chose not to use wood like the historic models, but instead employed chrome-plated steel strip and leather upholstery with button stitching. The pavilion was torn down after the fair. However, along with the furniture, it was retrospectively acknowledged as a showcase for the »International Style« that had taken hold throughout the world. The Barcelona pavilion was reconstructed and rebuilt in1986. Steel strip, leather belts, leather cushions.